This volume of Advances in Econometrics contains a selection of papers presented at the "Econometrics of Complex Survey Data: Theory and Applications" conference organized by the Bank of Canada, Ottawa, Canada, from October 19-20, 2017. The papers included in this volume span a range of methodological and practical topics including survey collection comparisons, imputation mechanisms, the bootstrap, nonparametric techniques, specification tests, and empirical likelihood estimation using complex survey data. 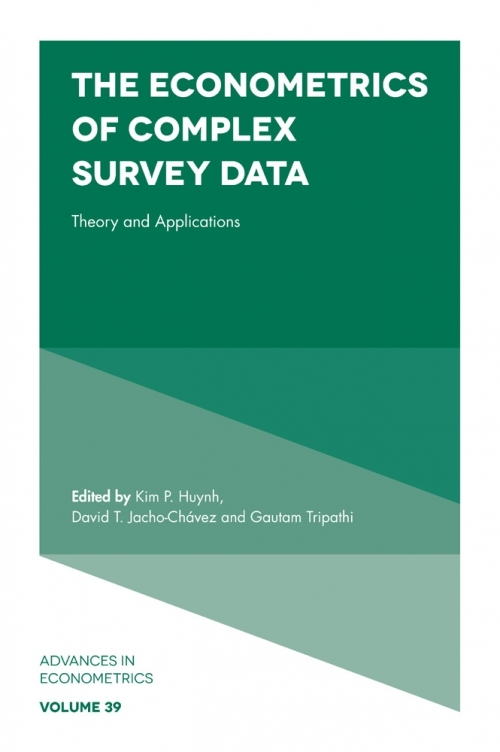 For academics and students with an interest in econometrics and the ways in which complex survey data can be used and evaluated, this volume is essential. Kim P. Huynh, Ph.D. is a Senior Research Adviser at the Bank of Canada. His research has been published in the Journal of the American Statistical Association, the Annals of Applied Statistics, and the Journal of Industrial Economics, among others. He dedicates this book to his late father, Ninh P. Huynh and mother, Lanh T. Lam. David T. Jacho-Chávez, Ph.D. is Associate Professor of Economics at Emory University. His theoretical and applied work in Statistics and Econometrics has been published in the Journal of the American Statistical Association, the Annals of Applied Statistics, the Journal of Econometrics, Econometric Theory, and the Journal of Applied Econometrics, among others. Gautam Tripathi, Ph.D. is Professor of Econometrics at the University of Luxembourg. His research areas are Microeconometrics and Econometric Theory, and he has published papers in peer reviewed journals such as the Annals of Statistics, Econometrica, Econometric Theory, and the Journal of Econometrics.